can be a challenging enough experience without the new added “wildcard” of a whole slew of storm damaged rv’s (of all types – storm damaged motorhomes, storm damaged trailers, and storm damaged fifth wheels) that are emerging on the market in the aftermath of the recent hurricanes in Texas and Florida – particularly Harvey in Texas since so much flooding occurred in that region. Allow me to share a few thoughts here on this subject in the following video – and then I will expand further in the narrative below. The landscape is rocky enough! 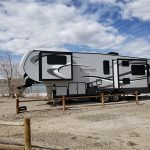 After all, when searching for the right RV for your needs, you have to sift through a number of manufacturers who to be honest make substandard products. In my personal searching, with years of experience living in one and years of consulting experience, I have found only a handful that in my view are built well enough to own! Now add the recent storms to hit the Gulf Coast including Texas and Florida. Hurricane Harvey in particular caused MASSIVE flooding across a widespread region – and some areas were caught off guard. The result? A myriad of storm damaged rv’s – both trailers and motorhomes. 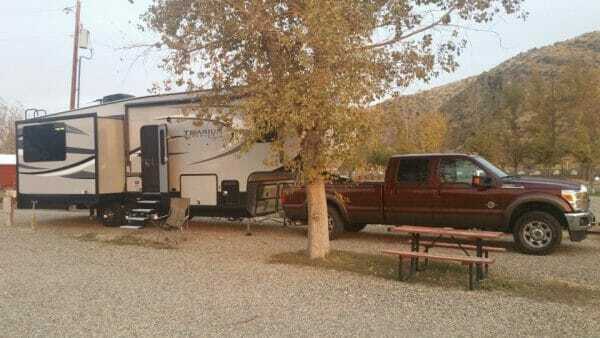 In short – storm damaged rv’s. Why are privately owned RV’s damaged in the storms more dangerous? Ok, back to the main topic, but I gotta say, my Outdoors RV (Glacier Peak) 5th wheel ROCKS… and I will share more soon. When it comes to storm damaged RV’s, if a private owner who’s rv was damaged in the storms did not file a claim, their title status would remain unchanged, so there’s no tell tale salvage title to reveal the rv’s true history. By now, these rv’s have dried out and may APPEAR to be just fine. But… as they say, appearances can be deceiving. YOU need to become a detective (and the trailer you are looking at may be nowhere near Houston!!) A few suggestions – crawl into the storage area(s) and see if there is a now dried water line – a dead giveaway! Do the same inside the RV, as the water may have risen into it. Look in the underbelly areas where the water pump is (people often forget to clean up these areas) – is there any evidence of water being in that area (where it does not belong)? Insist upon plugging in the RV and check ALL functions (you should do this anyway when buying a used RV). Does the fridge start up and begin to cool? Will the furnace work? How about the hot water heater? I’m sure you get the idea. If there are more tips that YOU have, please do report them so all can read storm damaged rv tips below! 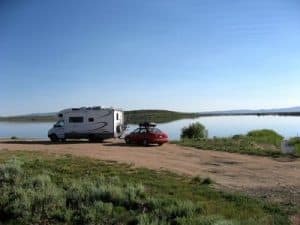 If you have a RV and all it does is sit most of the year, why not make some extra cash with it? These folks can help you get it rented! Dateline: McCall, Idaho – EARLY SNOWSTORM!! We are so excited to hear you are in your new rig. Congratulations! It looks beautiful and looking forward to see more pictures. Thanks for sharing your expertise. I am interested in your list of best rv’s Please contact me. Researching fifth wheels, campers and motor homes can be exhausting! I trust your knowledge. That is a beautiful rig! Thanks for the photos and for that very well timed report. Thanks for reaching out and for your kind words. First, if insulation is a consideration, lets forget about Open Range and possibly also Jayco. The manufacturer I warn folks about is Forest River – realize they produce over 30 different brands and sometimes finding out that Forest River is their “mother ship” is not a trivial matter. For example, you can see (very pretty) Crusader trailers that say “Crusader by Prime Time” – Forest River is not mentioned anywhere (gee, I wonder why??) – BUT – FR does own them in fact! Ok, enough of that. As to length, yes, 40 ft is too long IF you want to get to the best campsites – especially out west in the mountain states. I opted for 35 ft – still long enough to be comfortable, but short enough to get into MOST campsites. (the 5 ft. difference IS significant) As to towing – you’re fine with either on open roads. Now, a couple of questions, then I can become more specific: What truck are you towing with? Are we talking 5th wheel trailers? What budget do you have for the trailer? Where do you live? Where do you plan to travel? Well first up I’m depressed. 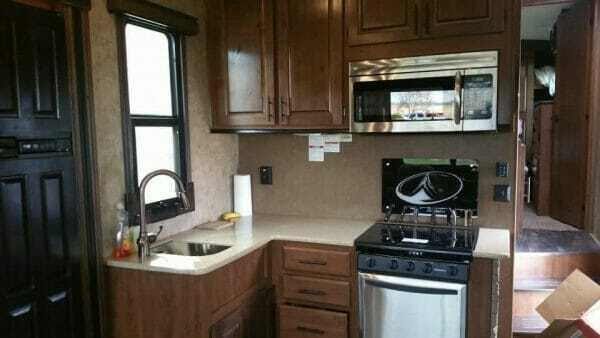 I love the floor plans of the Open Range followed closely by Jayco. I loved the full size(40+ feet), So I was going to check into the GM 450’s. 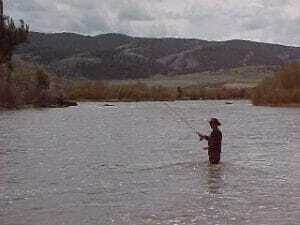 35 ft will be my next goal. How about a few names of trailers that you would recommend? Know this: I did NOT buy an Outdoors RV because I work for a dealer who sells them; in fact, with my perverse sense of humor, I would have LOVED to see the owners face as I pulled up with a trailer bought elsewhere… but, after my search, I could NOT find a better made trailer. The two models I suggest retail for between about $73,000 and 88,000 (USD) depending upon how they are equipped. As to a truck, a F250 is fine, or a F350 is more than enough. Arctic Fox also makes a good product – BUT – at this time, they do not offer a full profile 5th wheel with dual opposing slides in the living area at this length. Their’s is a bit longer and every foot you add closes off more potential campsites. DRV is also made well, but at this time, they are not making anything under 40 ft. Same is true for Jayco in their best built 5th wheels. There is a 36ft Eagle (the 321), but I would not personally full time in an Eagle if I could do better. David, Do you work for them? If not, you should realize that $130+ for a 5th wheel that is too heavy for most trucks that most folks own is a stretch. Especially considering that they depreciate like a rock – just like all other trailers. Further, I see the teton they have for sale that is TEN years old and they’re asking $45000. – wow – where I’m from that’s called CHUTZPAH! There is no way as a consultant I’d recommend a 10 year old trailer to anyone for anywhere near that price – teton or not. 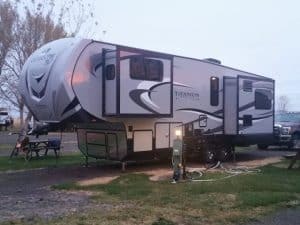 I do own a 2004 34′ New Horizons 5th wheel, which I pull with a 2006 F350. My family has owned it for 5 years and it is basically our second home. 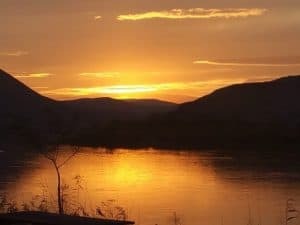 I’ve visited New Horizons and met the folks there and I’d encourage anyone thinking about mobile living to stop there before making a final decision. Your point about weight is super important. A one ton diesel is bare minimum for 5vers like New Horizons, Excell Pederson, DRV (pre Thor industries), or Teton Homes. So I very much applaud companies like Outdoor RV making a 4 season trailer that can be pulled by a 3/4 ton pickup. And let’s face it, I think most people would prefer a lighter overall package. But if you’ve got the truck, I’d say you might as well go whole hog. Also, you’re right about the price. Teton Homes, even though no longer in business, is the standard by which the 5th wheel industry has been measured for a long time. A 38′ Teton Homes is big and heavy for sure. But I’d still try to get as close to $35k as possible, or get the folks at New Horizons to modernize it quite a bit for the $45k. Just one man’s opinion, but I do hope that’s useful. 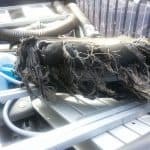 For the past 8 months I have been reading endless RV reviews and I am shocked at the quality problems that so many people have experienced. I have gleamed most travel trailers are now made by Thor industries and poor workmanship and bad customer support seem to be a common theme with Thor Industry products. I would be very interested to know if my thoughts are reasonable. We will most likely travel 10,000 – 12,000 miles. I am not planning to be going off road but would like to spent a good part of trip visiting your National Parks. I would be very interested to what travel trailers to avoid and those you would recommend purchasing. I am prepared to do weekly maintenance checks to ensure issues are captured before they become significant problems. 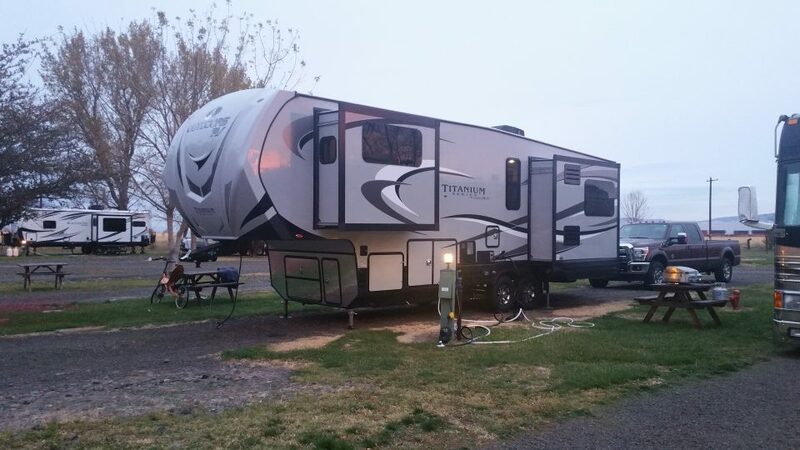 I am prepared to travel 300mls or more from Washington DC to get the right travel trailer. Thank you for your kind words. Regarding the industry, Thor is actually the BETTER of the 2 “big boys”, Forest River being the other. Between the two, 85% of all trailer companies and trailers are made by one or the other. 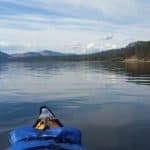 As I read your post and thought about your needs, I have a couple of thoughts – first, my inclination is to recommend a used Arctic Fox or Outdoors RV trailer (both are made by Northwood Mfg. in Oregon). Most of these trailers will be found out west so if you want one, you’ll have to travel a bit from D.C. to get one. I suggest used as 1) its been through its initial depreciation and 2) the first owner will have addressed any issues the factory missed. I do offer a buying service where I’ll locate a suitable trailer and negotiate the deal for you after doing a verbal assessment of its overall condition and discovering any known issues. (My verbal assessment does not replace the need for a local tech to check the trailer before you make an offer on it.) I can also assist with the purchase of new trailers. Last thought – yes, slides can be problematic, but its not nearly as frequent as you think, and on a good trailer, its virtually a non-issue. What they do offer is more room to live as otherwise free space in the trailer is quite limited. As a suggestion, I really like the TimberRidge 25RDS (http://outdoorsrvmfg.com/timber-ridge/) or the CreekSide 21RD (http://outdoorsrvmfg.com/creek-side/). 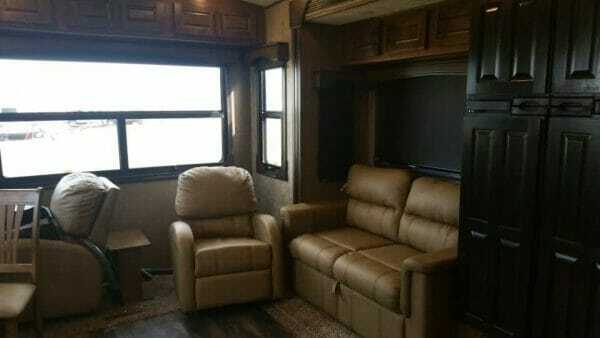 Currently Arctic Fox does not have a rear dinette model, but they may have an older model. The only alternative I really like to the Northwood trailers is the Jayco Eagle – primarily the models from 2010 – 2016. Please don’t hesitate to contact me again if I can be of further assistance.